Note: Please contact us by phone if you require resin. 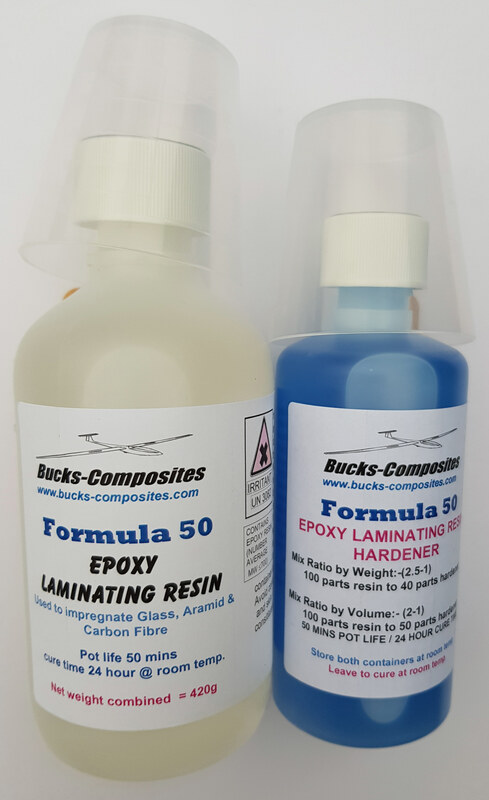 Very good for wetting out very lightweight glass fibre cloth on model boats and aircraft from sealing coat to surface finishing. Great for bonding wood, metal, foam, polystyrene, etc. Also totally fuel proof once cured. The resin and hardener pack comes with 2 mixing pots and 2 spatula's. Spare hardener can also be ordered. Take into consideration heat generation when mixing resin and hardener, once mixed put into a larger area this will prevent higher temperature build up and this will give you a longer pot life (working time). Never mix large quantity of resin and hardener. Full depth cure / Pot life 50mins / Cure time 24 hours. Winter time, always leave the Epoxy Resin and Hardener in a warm area to cure for 24 hours and never turn the heating off during winter time while the curing is taking place. See our Resin & Additives Tips page, which has a downloadable mixing chart for you to print for easy reference.